With more than 100 illustrations by Karin Kretschman. Marcella Hazan was born Marcella Polini in Italy on April 15, 1924. She received a doctorate in natural sciences and biology from the University of Ferrara. She was a newlywed when she moved to New York City in 1955. She taught herself how to cook and eventually became a cooking teacher and a cookbook author. She embraced simplicity, precision and balance in her cooking. 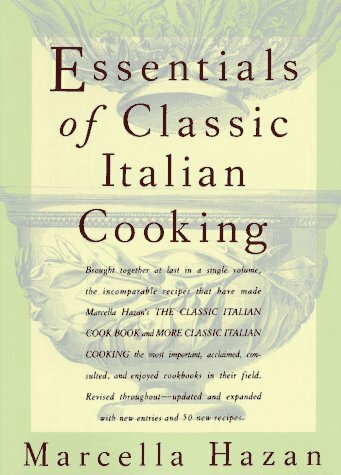 Her books include Amarcord: Marcella Remembers and The Classic Italian Cook Book: The Art of Italian Cooking and the Italian Art of Eating. She died on September 29, 2013 at the age of 89.